Phonographic Copyright (p) – Queen Touring Ltd.
Phonographic Copyright (p) – Heartstar Music Inc. Copyright (c) – Queen Touring Ltd. Copyright (c) – Heartstar Music Inc. 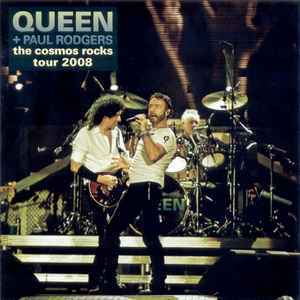 Initially a blank CDr which could be filled with the official downloads from the Cosmos Rocks Tour on the Official Queen Website.